Vaarwell’s bittersweet and intoxicating “Stay” pulses in and out of love through a stirring swell of saccharine sounds, poignant melodies, and an intimate confession. The grass is always greener, but only from the other side: How often do we pine for something or someone, only to find our expectations led us astray? That present you asked for all year, but only played with once or twice; that hard-fought promotion that didn’t change your feelings about work; that person you always had a crush on, who wasn’t worth your time in the end. Such is the premise for Lisbon band Vaarwell’s brand new single: Bittersweet and intoxicating, “Stay” pulses in and out of love through a stirring swell of saccharine sounds, poignant melodies, and an intimate confession. Atwood Magazine is proud to be premiering “Stay,” the latest single from alternative dream-pop band Vaarwell. 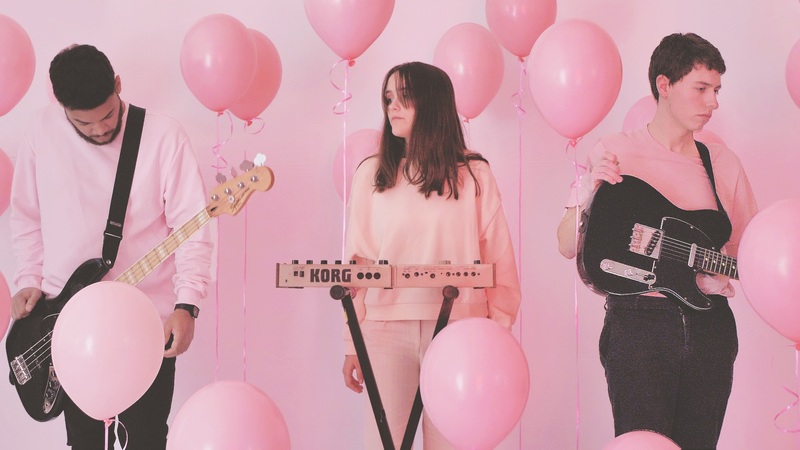 Consisting of Margarida Falcão, Ricardo Nagy, and Luís Monteiro, the Lisbon, Portugal trio blend brightly cinematic bursts of sonic color through a familiar base of guitars, vocals and drums – adding in the production studio as a fifth and powerfully manipulative instrument. 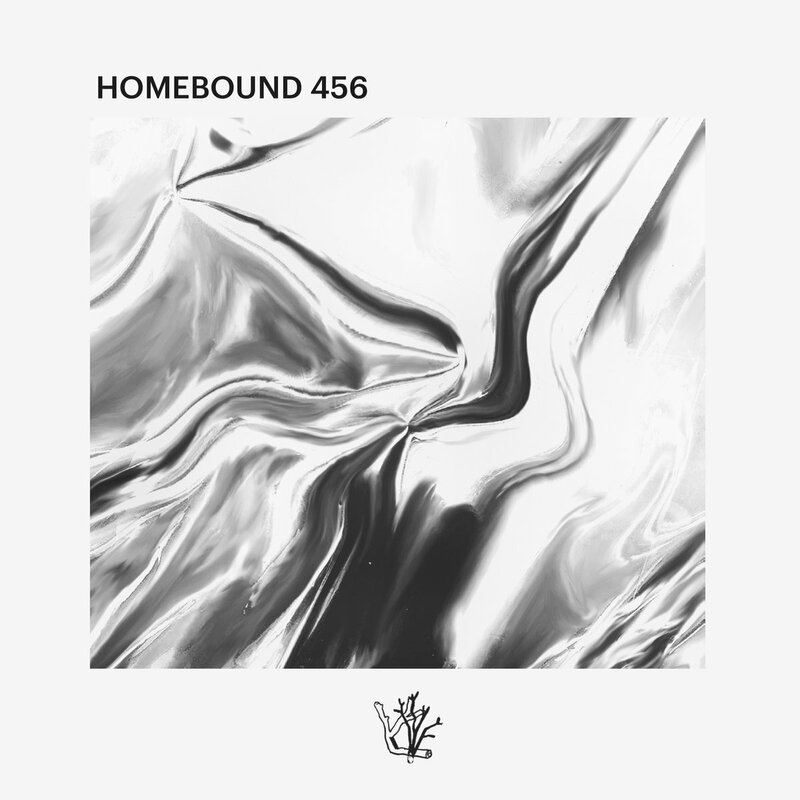 The band’s 2017 debut album HOMEBOUND 456 is a must-listen, pulsing with touching melodies and intimate lyrics that cut both band and listeners to their core. 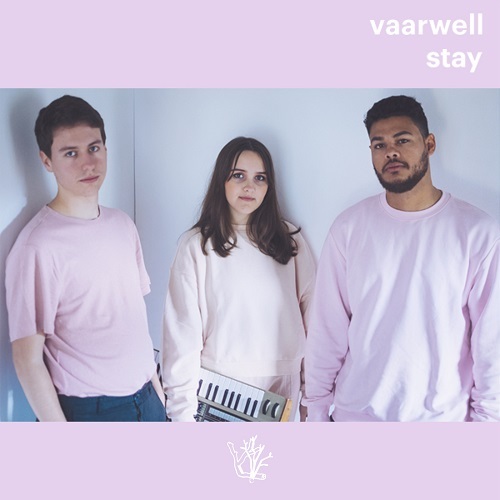 Having established themselves as a formidable talent, Vaarwell return triumphantly in 2018 with “Stay,” pushing the boundaries of what you can emote in an infectiously catchy pop song that considers love and desire from both sides, despairing the discrepancies between longing and having, expectation and knowing. Reminiscent of CHVRCHES’ Lauren Mayberry and Tennis’ Alaina Moore, Falcão’s pure, inflective voice is mesmerizingly sweet: Her cries are soul-stirring, packing the full weight of her burden into a tight space. Surrounding her voice is a dazzling, provocative expanse of guitar-pop. Layered vocal harmonies melt into shimmering guitars that glisten with faint reverb and light twang, echoing the lead singer’s melancholy state. 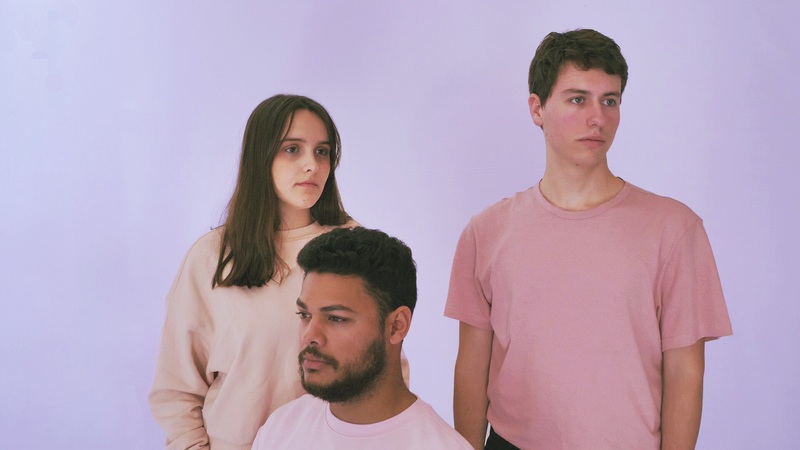 Vaarwell reach new heights with “Stay,” a melodramatic outpouring that establishes their pop prowess without taking away from their already intimate, passion-fueled artistry. HOMEBOUND 456 turns 1 year old this Saturday and remains a powerfully relevant, masterful debut, but the Lisbon trio are surging ahead through a poetic confessional full of weary heartbreak and bitter truth. Stream Vaarwell’s “Stay” exclusively on Atwood Magazine, and get to know this 2018 artist-to-watch in our interview below! Atwood Magazine: Why did you choose “Stay” to be your first song since your debut EP? Your voice comes through as such a strong and central component of the track; how did you go about building the instrumental components around it? Falcão: The instrumental actually came first and when I added the vocals, Ricardo (Nagy) adapted the production and structure to fit the melody. In most of our songs, the vocals are usually a very present element. As a trio, do you contribute to song composition? What are your band dynamics? Falcão: Ricardo and I are the songwriters and Ricardo also produces. We write separately most of the times – either Ricardo sends me an instrumental to work with, or I bring in a song or a draft and Ricardo works around it and brings the Vaarwell sound to it. I honestly don't know too many bands from Lisbon, so I'm curious to know if you feel any local-specific influences (“Lisbon” music qualities) shining through on this track. If so, where? Falcão: Although there are many great underrated bands from Lisbon that are unheard of internationally, we don’t associate our sound to any of the bands that we know of! “Stay” seems to fall in and out of love as the song progresses. How do you feel your emotions resonate through this song? Does the band name Vaarwell have any special significance to you? Falcão: The name “Vaarwell” came up after Ricardo Google translated “goodbye” from English to Afrikaans in a desperate attempt to find a name for our band. We ended up really liking it! What more can we expect from Vaarwell this year? Falcão: More music coming out throughout the year and some gigs around Europe! What other music/artists, indie or otherwise, are you listening to at the moment? Falcão: Some of our favourites at the moment are James Blake, Solange, Slowdive, Billie Eilish, Sampha, Tora and Bad Sounds. 20182018 new musicArtist to WatchArtist to Watch 2018Atwood MagazineDream PopElectro-Popelectronic popElectropopExclusive PremiereIndependent MusicIndie PopInterviewLisbonLisbon dream popLisbon indie artistsLisbon indie bandsLisbon indie dream popLisbon indie musicLisbon indie popLisbon indie sceneLuís MonteiroLuís Monteiro VaarwellMarch 2018Margarida FalcãoMargarida Falcão VaarwellMitch MoskMusicNew MusicOutpost MediaPopPortugalPremiereRicardo NagyRicardo Nagy VaarwellStayStay VaarwellsynthpopTrack PremieretrioVaarwellVaarwell 2018Vaarwell 2018 interviewVaarwell aboutVaarwell artistVaarwell bandVaarwell interviewVaarwell interview 2018Vaarwell LisbonVaarwell musicVaarwell music interviewVaarwell new musicVaarwell PortugalVaarwell reviewVaarwell StayVaarwell Stay 2018Vaarwell Stay aboutVaarwell Stay interviewVaarwell Stay lyricsVaarwell Stay lyrics meaningVaarwell Stay meaningVaarwell Stay reviewVaarwell Stay songVaarwell Stay song lyricsVaarwell Stay song meaningVaarwell Stay song reviewVaarwell Stay streamwho is Vaarwellwho is Vaarwell bandwho is Vaarwell music?